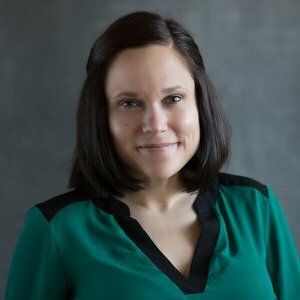 The Board of the Women’s Fund of Greater La Crosse is happy to announce that Heidi Svee has been hired as the organization’s new Executive Director. “The Women’s Fund of Greater La Crosse is pleased and excited to announce its new Executive Director Heidi Svee. Heidi comes to us from Big Brothers/Big Sisters and brings experience in fundraising and development, as well as many fresh ideas. Please join us in welcoming her!” says Sue Dillenbeck, Women’s Fund Board President. Svee, an Onalaska, WI native, graduated from Onalaska High School as a single mom and attended classes at the University of Wisconsin – La Crosse through the Self-Sufficiency Program. She began her nonprofit career as the Wisconsin state office administrator for Experience Works for two years before joining Big Brothers Big Sisters of the 7 Rivers Region, first as Office Manager, then Operations Manager and most recently as Development Manager. Svee received her Certificate in Non-Profit Leadership Development from Viterbo University in 2015. She volunteered for the YWCA CASA for Kids program and is on the Martin Luther King Jr. Community Planning Committee. She was the Global Initiatives co-chair in 2015, serves on the Center LGBTQ advisory council, is a La Crosse Diversity Council board member, is on the Women’s Fund events committee and is a member of the Association of Fundraising Professionals.